Your comfort is our goal. We have created a restful retreat that you can think of as your home away from home when you’re in the area. This cosy little self-catering garden cottage within a secure environment offers an ideal holiday break away for a small family. The cottage is ideally situated near malls with the main swimming beach less than 1 km away. 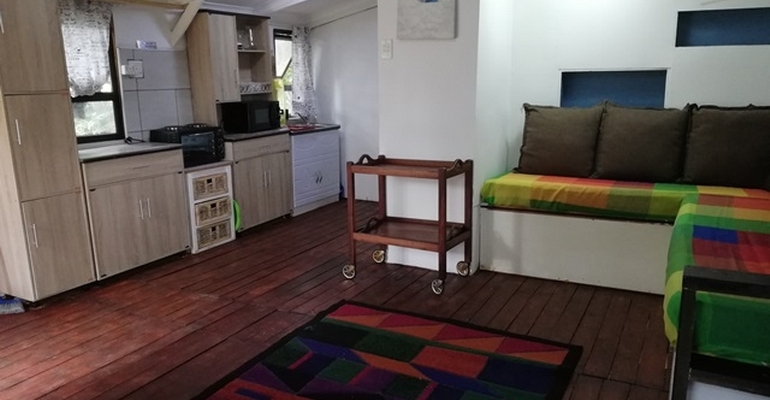 This tastefully decorated holiday hide away is situated in the popular holiday resort of St Michaels with Shelly beach, Uvongo and Margate also right on your doorstep. Truly a fantastic place to have and enjoy your next family holiday at affordable rates. Our rates are very reasonable and start from R250 per night for the unit.